Check out our new VIDEOS! link to the left of the Blog page. In the next few weeks we will have some new exciting videos for you to view and share. Now that we are slowly catching up with technology (so we think), we will be able to provide videos to communicate better the vision and that reality of our life and work here in Mozambique. You can even down load them to your personal computer and share with friends, church family, and others who might me interested. Today, we realized just how much of a family we, with our group of interns, have become. Today, our church service was divided for the first time. Ken and Arlene Flurry and 4 of our interns held a service at MozOvos(the egg business) in the community of Agostinho Neto. Our family stayed behind with the other 4 interns to have our regular service at our house in 25 de Junho. Either the gray and dreary weather or the being separated into two groups dampened everyone's spirits today. The mood was a bit somber. For our interns, it's comparable to the leap we made as we moved to Mozambique from the United States. Yet, we know it's part of the life of a missionary, and even the life of a believer, to be able to step out of our comfort zones to take the message of Jesus to those who haven't heard. What "leap" are you looking at in your life to be able to share Jesus with someone? Scary, huh? We would love to hear about it and pray with you, so leave a comment or send us an e-mail! Please pray for Ken and Arlene Flurry, our colleagues. They have now been robbed a total of 3 times in the month they have been here. Please continue to pray for our financial needs. God is faithful and we know He already knows the outcome. Today, our Mozambique Worldventure team heads off to South Africa for a few days together. It will be the last time our team is together like this before Jim and Corinne leave Mozambique. Our mid term workers, Ken and Arlene will be with us until October and then will be leaving as well. Then it will be"just the Schmidt's" in Mozambique, the same way we started the journey more than five years ago. This is a group who really enjoys being together, so it's a sure thing we will laugh alot and probably cry too. We'll eat good food and drink coffee and worship together and play games and take walks. Being part of a team has been a wonderful experience for us! Because I'm feeling sadness today, I'm choosing to look to the future and save the other part for another day! The fresh, young smiling faces below are our newest team members(minus one family I couldn't get the photo to upload, Brian, can you send another :)). They will be joining us in Mozambique as soon as their needed support is raised. 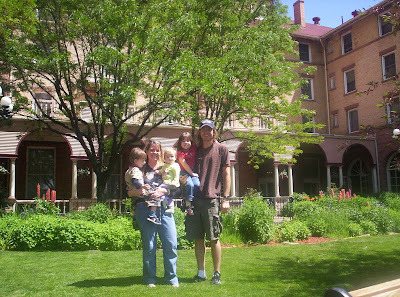 Brian and Megan Meyers and their three young daughters(no photo yet) will be joining us as mid-term workers. Brian is a medical doctor and will be teaching at the medical school/hospital in Beira with a view toward long term work in medical missions in Mozambique. Brian and Megan are currently living in Detroit, Michigan. 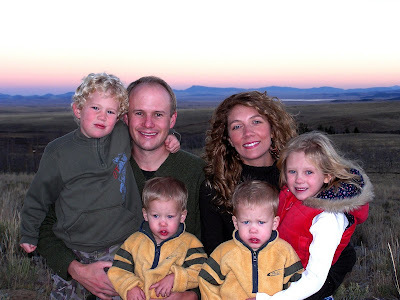 Rob and Heather Blanks and their children (first photo) are interested in theological education and leadership training. Just as we do, they have a heart for the people of northern Mozambique. Rob and Heather are currently living in Highlands Ranch, Colorado. Dave and Amy Terpstra and their children(second photo) are interested in working in leadership/business development and with child advocacy and teaching/reaching families . Dave and Amy are currently living in Highlands Ranch, Colorado. Will you please join with us to pray for these families? Pray that God will raise up the support needed for them to come be part of the team in Mozambique! We eagerly await their arrivals! A Great Day at MozOvos! We now have 400 hens! 3,600 more to arrive by the end of October! A great day for Stephen, he has a new pet chameleon. He found him and named him "Americinho"(little Americo) after one of our interns! For the last 2 years, we've been blessed to host groups of young people in a program Worldventure calls "Missionventures". These guys come from all over the U.S. and join us for ten days to experience life with us. They are SO GREAT and we have grown to love each of them! By the time they leave us, we feel we have added to our family. This year's group had some real challenges to overcome in learning about life in Mozambique. On their first day with us, they did a city-wide scavenger hunt with Mozambican guides who spoke limited english. They were required to do things like: go to a local market and buy chickens, kill chickens, have their pictures taken at certain landmarks, buy and eat Mozambican food, and take local transportation. They came through with flying colors! They worked with us in the orphanage and hosted 3 vacation bible schools in the 2 neighborhoods where we work. The last VBS day, we had 300 children attend! Does that thought make you tired and maybe frightened? Well, they also spent 24 hours in a community called Manhica, 1 hour from Maputo, living in the homes of Mozambican families, experiencing the wonderful hospitality of our Mozambican friends.. Learning from them what it means to be Mozambican. This was a very meaningful experience for them and for their Mozambican hosts, who were happy to share what little they have with their new American friends. We learned from them how awesome "20 something's" with hearts for God can be! We hope they loved our time together as much as we did!